A very fun four-day creative flower photography workshop was had at the Heidelberg Summer School of Photography. This was a great group of compatible people and talented photographers genuinely excited by the subject matter. English was spoken (because of me) and also German (my feeble attempts at German were lovingly corrected). Italian was also spoken—not to mention the universal language of “photography.” The agenda included field trips to a lovely horticultural nursery and to the greenhouses at the Heidelberg University Botanical Gardens. We also practiced studio flower photography, and followed the full workflow of my method for capturing and processing flowers for transparency on a light box. The image above is a study from the Heidelberg Botanical Gardens field trip. Since it is in monochromatic, it is a fitting segway to the next workshop, Creative Black & White Photography that starts in a few days. I hope it is as much fun and fosters gemütlichkeit as much as the Flower Photography did. You can see some of this gemütlichkeit, umlauts and all, in the row of wine glasses I shot at our farewell dinner, shown below. I am told that Neuenheim was originally a small and somewhat impoverished fishing village across the Neckar River from Heidelberg, Germany. Today it has been incorporated into Heidelberg, connected with bridges that straddle the Neckar at roughly one kilometer intervals, and boasts some of the most expensive residential real estate in Germany. Uferstrasse follows the banks of the Neckar on the Neuenheim side, with a pleasant grass meadow verging from the street to the river. On a pleasant summer afternoon you are likely to see people sun bathing, flying kites, picnicking and generally frolicking on the grass. At the corner of Schulzeng and Uferstrasse the gargoyle-like sculpture shown on the left is built into an otherwise fairly ordinary apartment building. This is a distinctive corner of the world with layers of history, and it is hard to say what the face represents, but I think it can be fairly characterized as slightly odd and quite interesting—like the city of Heidelberg itself! The old Jesuit Church in Heidelberg, Germany has been remodeled in a high-key. It’s been sandblasted and the interior painted white, and practically gleams of lightness—except the confessionals, which are shrouded in dark black curtains. There’s enough of the Catholic symbolism around so that it can be seen—barely—as an old-style church. Scouting for locations for next week’s black and white workshop with Gerhard, my host and the director of the Heidelberg Summer School of Photography, we explored the nooks and crannies of this somewhat unusual church. Definitely a good place for the monochromatic vision, particularly in a high-key—and I photographed from behind the pulpit stairs, bracketing and overexposing with the high-key light in mind. This is the Alte Brucke (old bridge) in Heidelberg, Germany. It crosses the Neckar River and leads through an arch in a tower to the pedestrian-only area around the cathedral. I photographed the bridge after sunset, and used a one minute exposure. The only way to combat jet lag flying east—there is a nine hour time difference between California and Germany—is to try to get some sleep on the plane, then stay up as long as possible, until something like a normal bedtime. This makes for a very long day. What better way to fill it than with exploration and photography? I had dinner in a hole-in-the-wall place called “Schnitzelbank” in old Heidelberg. This place actually does make a pretty mean schnitzel, and they were nice to me, too. Seating is communal, and the general style is touristic-pseudo-genuine, with a nod to being genuine so a bit of being seedy and outspoken is okay. That said, as noted they were kind and the food was pretty good. How are peonies, iPhones and implementation details related? The relationship between how a photo was made and the perception of the photo by those who view it is an interesting thing. Or, perhaps it is the perception of how it was made? Perhaps the person saying this doesn’t realize it is an insult. Or maybe they do. It also mistakes the tool used for the real work of the artist. The other side of the coin is showing someone an iPhone image. They think it is great, until you tell them you made it with an iPhone. Then they dismiss the image. People who know me, know my views on all this. There is an issue of using appropriate technology: if you are going to blow something up to mural size and have it be sharp, you need a decent size sensor, many megapixels, and a big file. On the other hand, for many (probably most) uses, good enough technically is, well, good enough. The key issue in photography is who the photographer is, how the photographer sees the world, and whether the photographer can create images that resonate and emotionally rock. So next time, don’t ask what camera an image was made with. This like asking a painter what brush he used. Ask instead whether the photo moves you, and if so, why and how? Considering the important things and not the implementation details will help you become a better viewer of photos, and—yes!—will also help you become a better image maker. Some of the best BBQ in the Bay area, with a decor that gives you plenty to look at as your slab comes off the grill. Then—bang, bang, bang—the slab is chopped with sauce that is mild, medium or hot and you walk away with a picnic feast. I shot this image at Monet’s Garden, Giverny, about an hour outside of Paris. I used my iPhone camera app. I used my bracket to place the iPhone on my tripod, and the ear bud as a shutter release. On the bus ride back to Paris, I processed the image on my phone using the nifty Waterlogue app. Exposure data: Nikon D800, Zeiss 135mm f/2 lens with 12mm extension tube, 2 seconds at f/22 and ISO 100, tripod mounted, exposed on a light box for transparency, processed in Adobe Camera RAW, Photoshop, and with Photoshop plug-ins from Nik and Topaz. We are all sisters (and brothers) and the skin is only the surface. As human beings, let us be tender with each other. Exposure data: Nikon D800, Zeiss Otus 55mm/f1.4, 1/160 of a second at f/8 and ISO 200, hand held. Two-strobe lighting on black seamless, with large soft box on the left and less powerful unit through an umbrella on the right. Photographed at The Lighthouse in Berkeley, California. Want to be able to get the nuts and bolts of a subject and play it again as often as you’d like? Access to the following webinar recordings is available. Each webinar is approximately one hour with video and audio. Listen as many times as you’d like, and play back specific portions as often as you wish. The cost is only $19.95 each. With photography on a light box, once you photograph a bracketed high-key exposure sequence, then the the next step is to assemble a layer stack. As you build your layer stack, successively darker layers are masked and painted in to create the illusion of transparency. The results surprise and delight! Click here for more information about this webinar recording. It’s easy to add a whole set of techniques to your creative use of Photoshop! Watch Harold as he explains the entire process of using backgrounds and textures, then shows how to use them in the actual context of his own work. Click here for unlimited access to the Selective Sharpening with LAB Color with Harold Davis webinar recording (about 60 minutes, the cost is $19.95). Understanding the creative use of LAB color in Photoshop unlocks a vast treasure trove of under-utilized and under-explored possibilities. Each live webinar session has ample time for questions and is limited to twenty participants, so seating is very limited. The $29.95 fee includes unlimited access to the recording of the session. Please consider my interactive, online Photographing Flowers course (with Craftsy). Class description: Learn how to use exposure, focus and creative techniques for spectacular floral photos. Join top photographer and bestselling author Harold Davis to explore the many facets of successful macro photography, starting with expert tips on composition. Delve into extension tubes and filters for an affordable way to master extreme close-ups, and navigate challenging lighting with ISO, aperture and shutter speed. Cultivate your artistic vision using selective focus, unexpected angles and depth of field to create imaginative, Impressionist-inspired shots. Plus, learn how to execute an indoor shoot and present your photos in a strikingly unique portfolio. Towards the end of April, on top of Tour Montparnasse in Paris, France, I watched late afternoon fade into dusk and night. As the sun set, the lights of the City of Light came on. A spectacular view, and best of all because, being shot from the Tour Montparnasse, the view does not include the Tour Montparnasse: a truly ugly building from the 1970s that spoils the symmetry of the classical Paris skyline. BY POPULAR DEMAND! Space is limited, and this workshop usually sells out, so don’t delay. Master photographer Harold Davis is well-known for his often imitated—but seldom equaled—digital images of luscious transparent and transulcent flowers. Harold is only planning to give this workshop infrequently. There is no better way to learn the floral transparency techniques that he has pioneered. The two-day format will give participants the chance to complete their imagery using the techniques that Harold will demonstrate. Tuition: The cost of the workshop is $745 per person. Workshop limited to 16 participants. What to bring: Your camera (preferably capable of shooting in RAW and with a manual exposiure mode), camera manual, tripod (if you have one), and a way to make notes! If you’d like to follow the post-production examples please bring a laptop loaded with Photoshop, and HDR Efex Pro from Nik Software (trial versions of this software are available for free download). 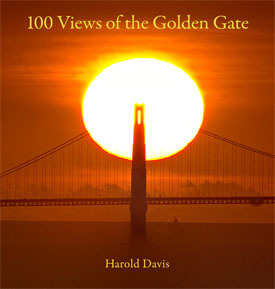 Harold Davis is an award-winning professional photographer and widely recognized as one of the leading contemporary photographers. He is the author of more than 30 books, including Monochromatic HDR Photography (Focal Press), The Way of the Digital Photographer (Peachpit Press), Creating HDR Photos: The Complete Guide to High Dynamic Range Photography (Amphoto), Photographing Flowers: Exploring Macro Worlds with Harold Davis (Focal Press), The Photoshop Darkroom 2: Creative Digital Transformations (Focal Press), and The Photoshop Darkroom: Creative Digital Post-Processing (Focal Press). 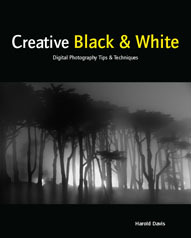 The Creative titles include: Creative Landscapes: Digital Photography Tips & Techniques (Wiley), Creative Lighting: Digital Photography Tips & Techniques (Wiley), Creative Portraits: Digital Photography Tips & Techniques (Wiley), Creative Black & White: Digital Photography Tips & Techniques (Wiley), Creative Composition: Digital Photography Tips & Techniques (Wiley), Creative Night: Digital Photography Tips & Techniques (Wiley), Creative Close-Ups: Digital Photography Tips & Techniques (Wiley). 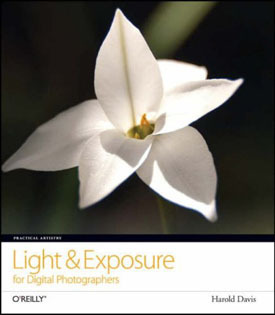 He’s also written a book on the fundamentals of exposure, Light & Exposure for Digital Photographers (O’Reilly Media).